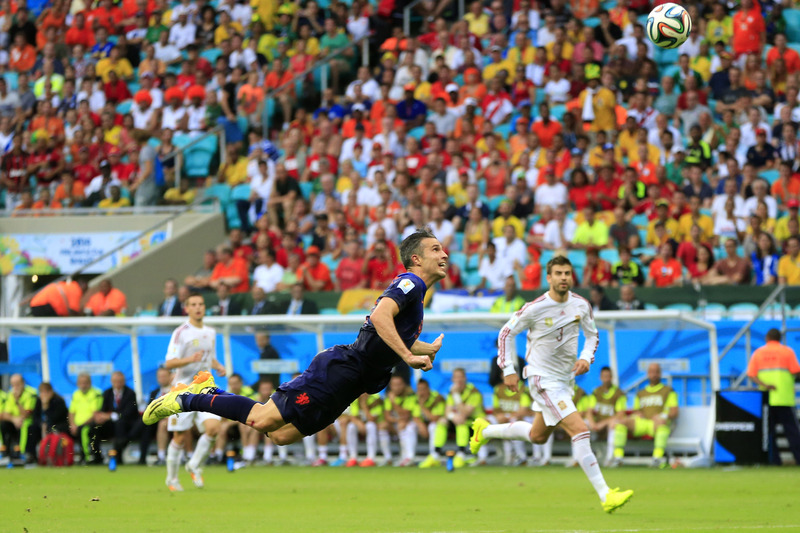 You may be forgiven for having thought the 2014 World Cup’s round of 16 wouldn’t be as shocking or exciting as the initial group stage — what with the early departures of titans Spain, Italy, England and Portugal, Mexico’s 1-1 tie with Brazil, and Robin van Persie’s flying header. But, boy, were you way off. If anything, the second round was even better than the first. Brazil and Chile kicked things off last Thursday afternoon by taking their match all the way to penalty kicks, with Brazil avoiding possibly the biggest upset in World Cup history when Chilean defender Gonzalo Jara’s shot ricocheted off the post and away from the goal. FIFA banned Uruguay top goalscorer Luis Suárez from football for biting Italian defender Giorgio Chiellini during Italy 1-0 defeat in the group stage, after which Suárez tweeted a halfhearted apology, promising “the entire football family” never to bite anyone again (this was his third chomp). Having advanced to the round of 16, but missing the one man who got them there, Uruguay easily lost to red-hot Colombia on Saturday, 2-0. Speaking of Colombia, Los Cafeteros are playing expert football! Not only did they pass the group stage with three convincing victories and beat Uruguay two-zip in the round of 16, young midfielder James Rodríguez finished the first stage as FIFA’s top ranked player in the tournament, having scoring or assisted in every goal scored for his side thus far. He scored both goals in the 2-0 victory over Uruguay and currently leads the tournament with five goals, prompting Uruguay manager to consider him “the best player at the World Cup.” (Did I mention he’s only 22?) After four matches, only two goals have been scored against Colombia, so there’s plenty of defense to match their offense. France has made an impressive showing at this year’s tournament after exiting the 2010 World Cup in the group stage by not winning a single match. 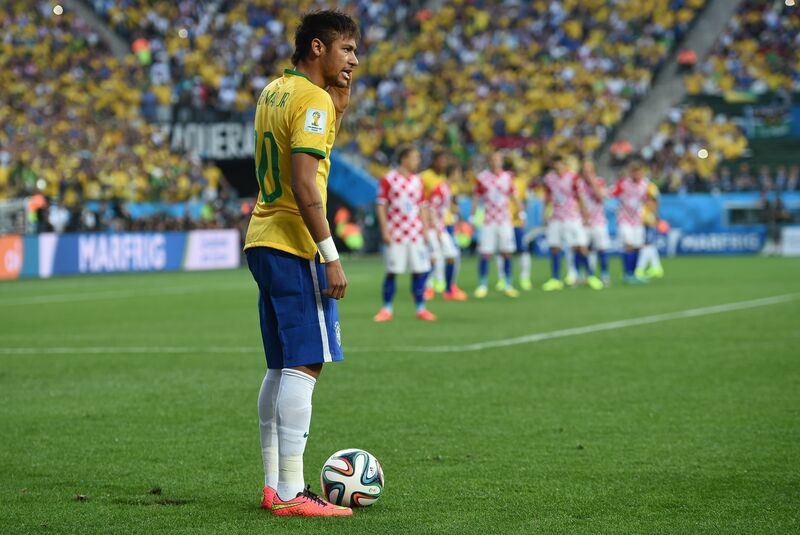 This time around they haven’t lost a single match, having only a 0-0 draw against Ecuador in the group stage. The other matches were won by a margin of at least two goals. (France beat Honduras and Switzerland by a margin of three goals each.) Striker Karim Benzema of Real Madrid fame presents an imposing figure in the forward field, always lurking and able to fire the ball into the back of the net without warning. It’s no small thanks to him that France has scored the most goals in one match by a team, five. France shares that distinction with the Netherlands, however, who not only passed the group stage with nine solid points, but also scored more goals than any other team so far, 12. (They’re followed closely by Colombia, France and Germany, with 11, 10 and nine, respectively. At +9, Colombia does have a better goal difference though.) And while James already has five goals and Benzema has three, only Holland can boast three players with more than one goal to their names so far: Memphis Depay with two, and Arjen Robben and Robin van Persie with three each. 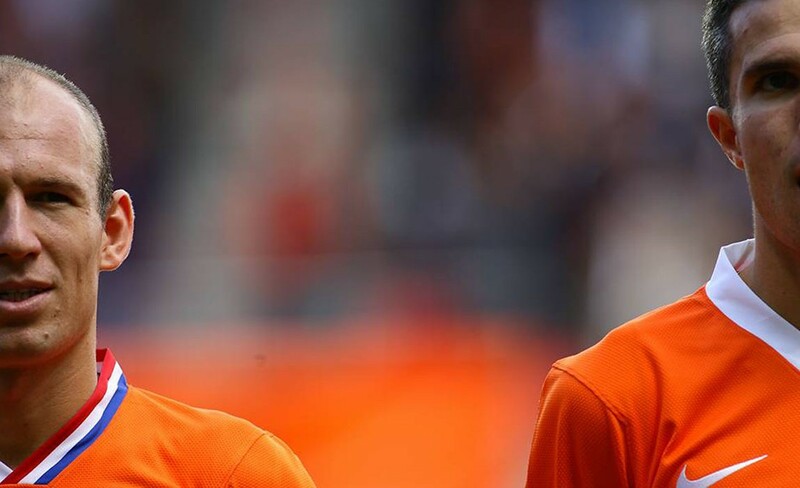 Whereas Mexico fans might blame the Oranje’s 2-1 victory over El Tri on great acting, there’s really only one word for a team that can escape the fangs of defeat by scoring two goals so late in a match: dangerous. Their quickness, tenacity, strength and accuracy are why the Flying Dutchmen are my personal favorites to walk away with the cup this year. The other side of the bracket is much more interesting. Neymar and Brazil faces James and Colombia on the Fourth of July, and based on how both teams have played thus far, there’s no telling who will move on to the semifinals. Brazil will have to channel the spirit of Pele and their former selves if they hope to get past Colombia, who merely have to keep doing what they’ve been doing. France and Germany square off that same day, but France shouldn’t have too much trouble eliminating their football and historical rivals if they just stick to the game plan, which typically involves Benzema, Olivier Giroud or Paul Pogba. Even though Argentina, Germany and Brazil haven’t been the most impressive teams in this tournament, their experience, talent and style of play make them a threat to any country’s World Cup dreams. Argentina has arguably the greatest footballer of all time in Lionel Messi, and Brazil’s Neymar and Germany’s Thomas Müller are world-class goalscorers. Still, these predictions are based on a mountain of assumptions. Who knows, maybe Belgium and Costa Rica both advance on Saturday. The way things have gone so far, nothing’s too far-fetched.